Ishawna is out here giving free relationship advice. According to the controversial recording artiste, she is a “cool ex-girlfriend” that will “leave you alone forever” once the relationship is over and she suggests her female fans do the same. The “Equal Rights” singer told fans that they should stop sending paragraphs to men who hurt them and just disappear from their lives for good. “Y’all still be sending ni—s paragraph about how they hurt y’all feelings instead of disappearing from their lives forever…that’s where you f–ked up hun!! !,” Ishawna wrote on Twitter. The ex-fiancée of Dancehall selector Foota Hype’s advice has been getting mixed reviews from fans on social media. 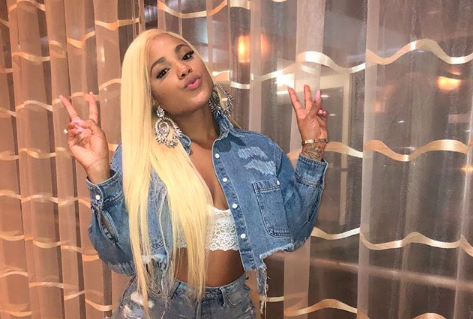 View Ishawna’s post below and check out the comments below.